← Need Two OMD Tickets for Atlanta on April 10th? In 2009, after the end of the FACT “Energy Suite” installation, the OMD faithful got a free download from the band of their demo of a song written in 1981 but not recorded until 2007. “Sister Marie Says” was sent to the mailing list members and could be had from the website for a time in 2009. The bouncy song had a central hook related to the famed “Enola Gay” riff and for that reason was not picked up in the aftermath of 1980. It had been touched, but not decisively during the Phase two era, only to finally be embraced by the band when doing foundational work for their upcoming new album. They finally realized that they were allowed to pastiche themselves at that point if they wanted to. The song was very poppy and the lyrics about a possibly mad, self-proclaimed “nun” who took out full page newspaper ads proclaiming the end of the world [hint: she was wrong] went right by me as an American. I’d never heard of her. The band had been reformed for a little ver two years, but were taking their time to assemble material at their own pace; not wanting to repeat the mistakes that had led to their demise years earlier with relentless pacing and overwork. Then, the band announced that McCluskey’s wife had cancer, and this would impact their work schedule as things came to a standstill due to this event. But there would be a release this year of technically “new” OMD music. 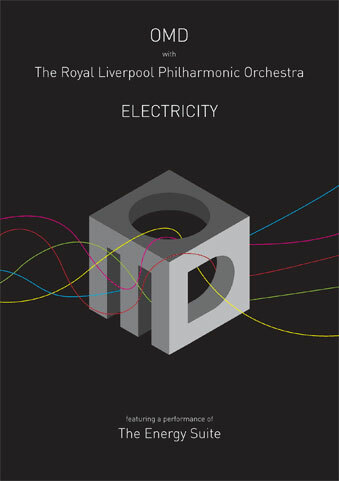 This came in the form of a 2xDVD of OMD and the Royal Liverpool Philharmonic Orchestra called “Electricity/The Energy Suite.” The first disc was the RLPO playing with Andy + Paul [on synths] in largely acoustic orchestral arrangements probably not too far from their earlier set with The Proms tour in Germany, but that was just 4-5 songs a night. This was a full back catalog extravaganza with a well-considered selection of past material given the orchestral treatment, with many deep cuts particularly suited to this approach given an airing. Here was the set list for this portion of the concert. There were some very interesting choices there and I would love to hear this orchestra try their hand at “The Native Daughters of The Golden West,” or “Dream Of Me.” I’ll bet they sound better than the fake string versions we’re all familiar with. I bought one of these from the FACT gift store but have yet to actually play it. Lame, I know. 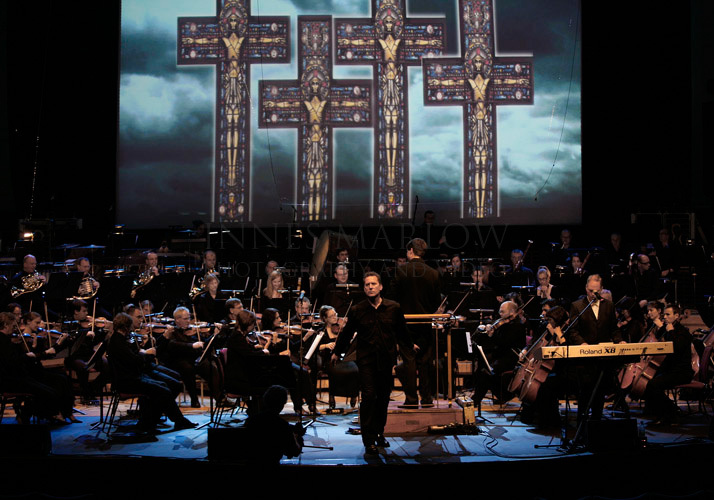 The second DVD was the rest of the program that night with “The Energy Suite” played in full, albeit strictly by an orchestra, so it was not exactly what visitors heard while encountering the installation earlier that year. This remains the only release of this music and the DVD saw release in December of 2009. That month also saw the teaming of an incredible bill of Monk-Bait® with OMD being the special guests for Simple Minds UK “Graffiti Soul” tour. I read about this and bugged out at the time; expecting it to have enough ticket-selling power to cross the pond. They had every intention of doing so, according to the Dream Giver site, but I was terribly wrong. In the end, neither band troubled US stages. 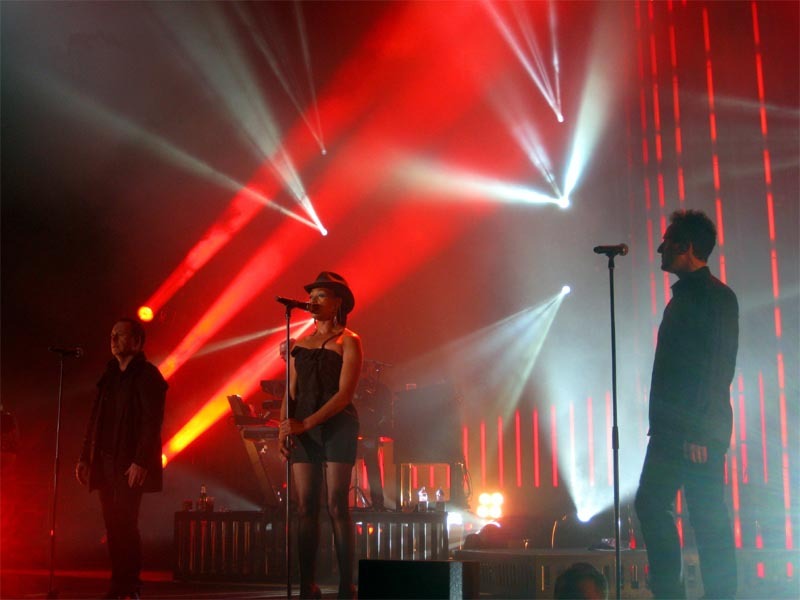 l should have never underestimated the ability of Simple Minds to fumble a mooted US tour! OMD [not called an “opening act” out of deference to their status as peers] went on first, but rejoined Simple Minds later on stage since they had both done a cover of the same Kraftwerk song, “Neon Lights.” By that time, OMD had racked up several UK tours and were itching to get the new material out. It would happen the next year. This entry was posted in Core Collection, DVD, Rock GPA and tagged 2009, DVD, Live Concerts, OMD. Bookmark the permalink. 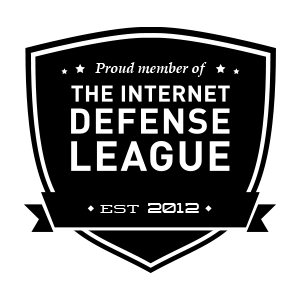 Douglas McLaren – Welcome to the comments. You are the first emoji here in over eight years, by the way.